Modern Carpet One has been serving the Washington Metropolitan area for years, and with three showrooms we have the ability to cater to all kinds of customers! We specialize in both residential and commercial flooring, using our in house installation team whom we have trusted for over 30 years. We are even a proud member of the Annapolis Design District! Let us help you not only choose your floors, but get the installation done for you and done right. If you don’t have time to visit one of our three showrooms, then you can utilize our Shop At Home service! 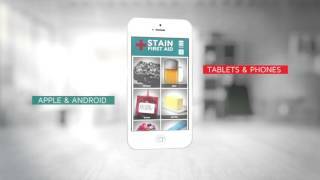 We can even assist you virtually through our downloadable apps! Let us tell you more about the services we offer. At Modern Carpet One Floor & Home, we aren’t just your local flooring provider. We also specialize in installations. Schedule your FREE in-home consultation with us, where one of our flooring experts come to you with our showroom and give you a free estimate on the spot! Stay on trend and don’t panic if you have a flooring emergency. Check out some apps that we recommend you have at hand.